1. On Wednesday, March 20th, Central Primary School students and staff attended an assembly about Habit 5, Seek first to understand, then to be understood. During the assembly, students reviewed Habit 5 and discussed its importance. Then, teachers led students in building a monster who shows that he is ready to listen. The assembly was a great way for students to review this important habit for Leader in Me. 2. 2nd grade students enjoyed donuts Wednesday, March 20th, provided by the Trojan Gala. Second grade earned donuts because their grade level basket was a top earner at the Trojan Gala. Congratulations 2nd grade! 3. 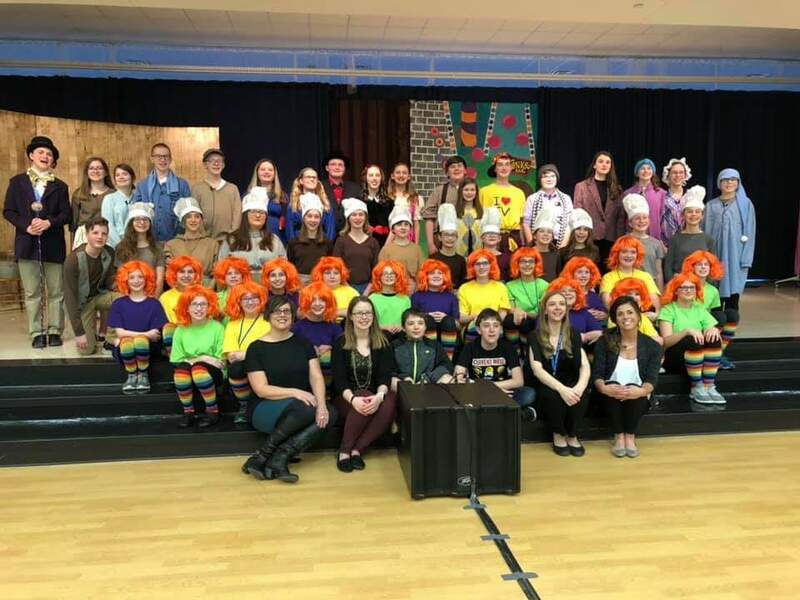 The CIS Drama Club performed Willy Wonka Jr. for two packed houses on March 15 and 16. Outstanding job Mrs. Woolard, Mrs. Randolph, Mrs. Davidshofer, Mrs. J. Uftring and the Cast for great performances! 4. Disability Awareness on National Down Syndrome Day! Crazy socks, yellow shirts and a day of activities to help students understand what students with disabilities experience on a daily basis. Thank you Mrs. Miller and Mrs. Fogle for organizing a great day of developing empathy and compassion.